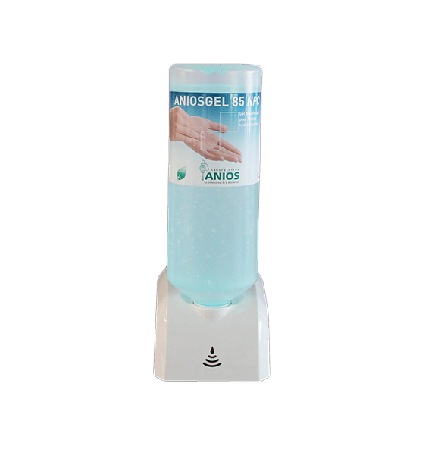 Touch-free electronic dispenser offering the highest hygiene solution. Can either work with soap bottles or hydro-alcoholic solution Airless bottles avoid air infection of the soap and keep it safe from the environment till the last use. Easy to install in our aluminum rail or directly to the wall. Available with an optional stop drop system. Easy to dose with accuracy via a sensor to amounts of approx. 1 x 1,5 ml. Can be mounted on our clipping frame for MEDICAL PROCESS aluminum rail in order to avoid making new holes on the wall.